Multi-strand items from various categories. 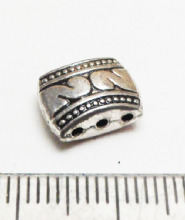 Three strand Oval spacer beads. 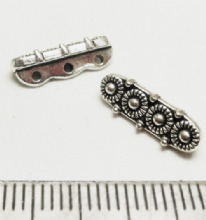 11mm x 7mm x 3mm. Silver. 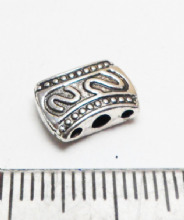 Tibetan Style Silver Oval 2 hole spacers x 8. 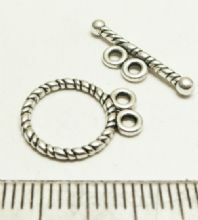 13.5mm x 18mm x 3mm. 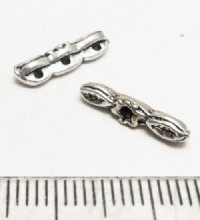 Five hole Silver bar connectors x50. 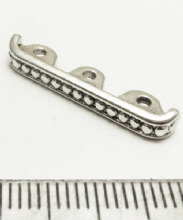 17mm x 3mm. Knot connector x 8. 10mm. 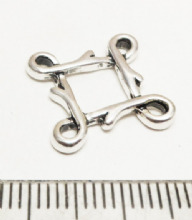 Rectangular Spacer x 8. Silver 3 hole. 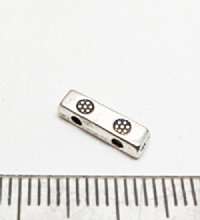 17.5mm x 11.5mm x 4mm. 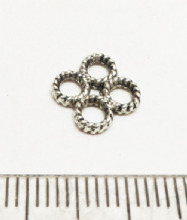 Three hole spacer beads x 8. 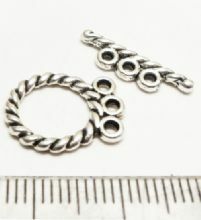 11mm x 7mm. Gold. 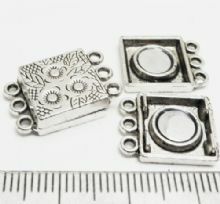 Tibetan Style Silver 3 hole small connectors x 20. 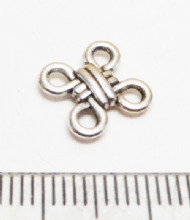 14mm x 2.5mm. 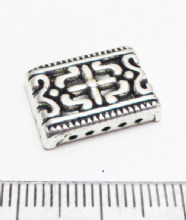 Tibetan Style Silver bar 2 hole spacer x 16. 10mm. 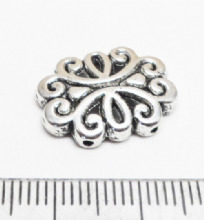 Tibetan Style Silver 3 hole Daisy Spacer. 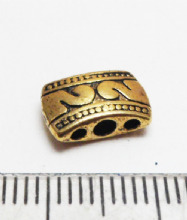 14mm x 5mm. Pack of 10. 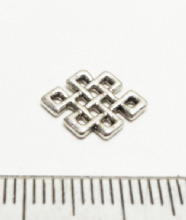 Tibetan Style Silver 3 loop rope Toggle/bar x6. 13mm. 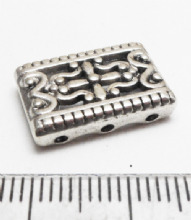 Tibetan Style Silver Two strand Toggle/bar x10. 12m.